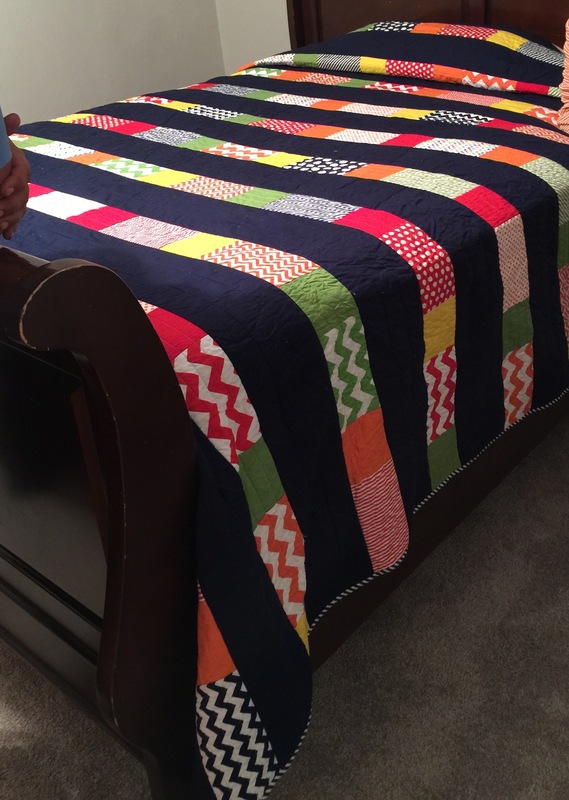 While I was MIA from Blogland, I did finish Caleb’s quilt and it looks so good on his big boy bed, in his new bedroom. My son and daughter-in-law bought a new house in my neighborhood this summer. I’m loving having them even closer! It’s literally less than a five minute walk from my door to theirs. 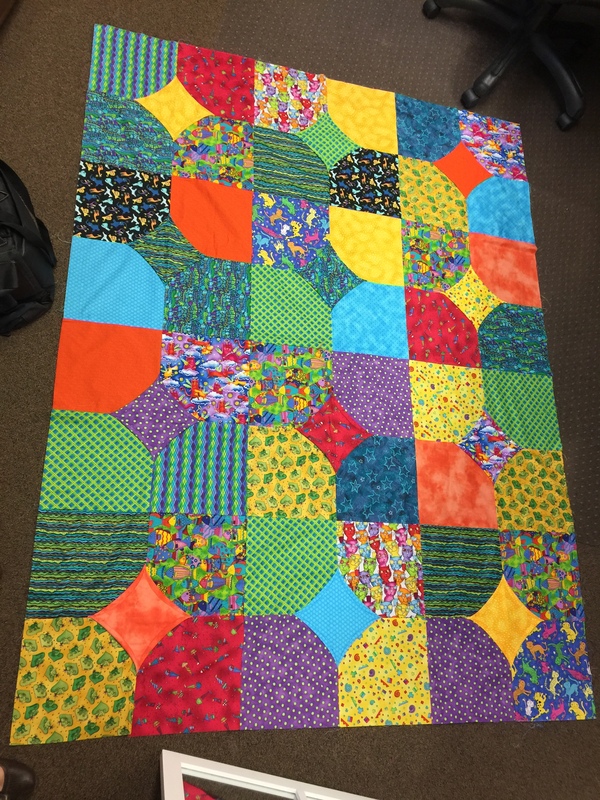 I’m really looking forward to getting it loaded on the longarm and getting to do some quilting again! Sure have been missing spending some quality time with my beloved A-1, Corky. That pretty much catches you up on any quilty happenings around here since the last pre-wedding post. And, that’s a wrap for this evening. See you soon! Thanks for the reminder about the 10 min block! I’ve had that on my ‘bucket list’ but I’d forgotten about it. I think it would be a perfect project for this weekend! I love the color & prints you used in Chase’s quilt top and that quilt for Caleb is perfect for a growing boy…not too young or too old! Great work!! Your two quilts are just wonderful! I like the 10 min. block also, and this would be a fast way to make family gifts for Christmas. Thank you! I agree it would make for great gifts! « Mrs. ORTEGA is back!